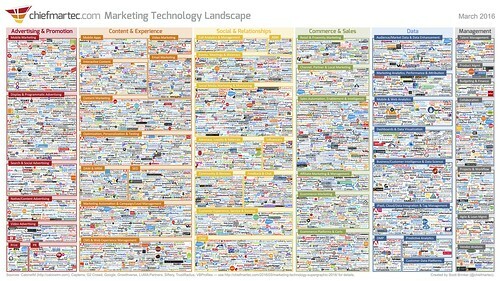 I love the field, the practice of marketing technology. However, marketing technology has been regarded largely as a collection of tools and vendors. 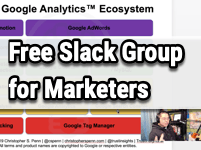 From Scott Brinker’s outstanding MarTech landscape to marketing technology stacks, marketers have come to see marketing technology as simply a box of tools, a myriad of packaged solutions. This is a dangerously wrong view. Why? 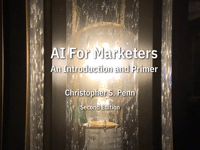 Marketing technology is a mindset, a way of thinking. It’s what I called the Plus Path in Leading Innovation. When we use the Plus Path, we add things together, combining things together in ways that make something better, something greater than the sum of its parts. We combine peanut butter and jelly. We mix art and science. We blend marketing and technology. When we think of marketing technology as a mindset – how can I do more in my marketing with the technologies I have – we become more capable. We indulge in curiosity, we build things for the sake of building them, we explore what’s possible. Compare that to the vendor mindset, where we are encouraged to just buy more pre-packaged tools. Vendors certainly want to encourage that version of marketing technology, because it selfishly serves their needs. The difference is akin to learning a love of cooking versus buying more and more processed foods. The former, a mindset of curiosity, exploration, and eventual delight, takes time. Learning to cook takes effort. We make a lot of mistakes along the way, but when we look back at our journey, we see how far we’ve come and what we’re capable of. The latter is a literal recipe for disastrous physical and financial health. Don’t fall for the vendor mindset. Embrace a love of marketing and technology together, a love of exploration and creation. When you escape the vendor mindset, you’ll find a whole universe of amazing opportunities just waiting for you.